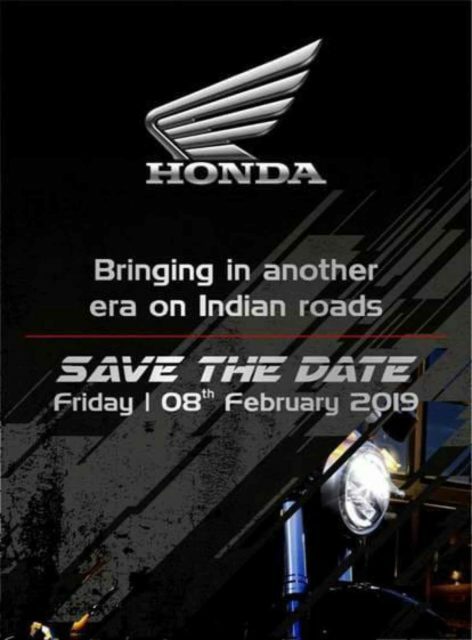 Honda released the first teaser of new CB300R and the naked bike is going to be launched on February 8th in India. 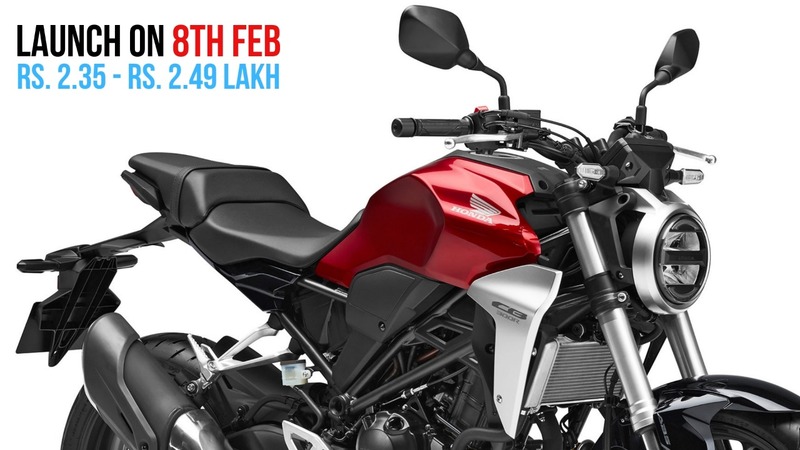 The company has already commenced bookings for the CB300R last week and the token amount is Rs. 5000. The CB300R comes to India via CKD route and we could expect the motorcycle to be priced around Rs. 2.5 lakhs (Ex-Showroom). The CB300R made its global debut at the 2017 EICMA and the design took inspirations from its big brother CB1000R. The round headlamp gives a retro theme for the CB300R and the company has given a full LED lighting system for the headlamp. The indicators are placed slightly higher and a simple design for the front fender. Like most of the other naked bikes, the fuel tank gets a muscular design theme and the new radiator shrouds give an aggressive stance for the CB300R. The company has given split seats but the pillion seat is placed slightly lower compared to other performance bikes, which makes it usable also. The CB300R comes with tapered-aluminium handlebar. The switchgear quality is expected to be top notch and the instrument cluster is a fully digital unit as it comes packed with lots of information like average fuel consumption, engine temperature, gear shift indicator, time, speedometer, tachometer and trip meter. The rear continues the sporty theme as the naked bike gets LED tail lamps. Honda CB3000R is powered by 286 cc, single cylinder, liquid-cooled engine producing 31 PS of power at 8,500 rpm and 27.5 Nm of torque at 7,500 rpm. This engine is mated to a 6-speed gearbox and the fuel tank capacity is 10 litres, which is low compared to rivals and the naked sports bike is expected to return between 25-30 kmpl. The CB300R gets 296 mm disc at front and 220 mm disc at rear with dual-channel ABS system as standard. Honda has given 41 mm upside-down forks at the front and a mono-shock at the rear. The suspension is expected to be tuned for comfort and the CB300R tips the scale at just 143 kgs. The India-spec model might come with MRF tyres instead of Dunlop in the global model. The CB300R will be sold exclusively through 22 Honda Wing World dealerships.